Greyhound Racing at Yarmouth Stadium01493 720343work Greyhound RacingWhen it comes to sport which is fast & furious, Yarmouth Stadium in Great Yarmouth is the place to be. Sited at Caister-on-Sea, Great Yarmouth, Norfolk, the stadium has developed over the years into a major venue. Even if you have never been greyhound racing before, you'll soon get the hang of it and with a bit of luck, you could end the evening a winner! We have a Raceview Restaurant with seating for up to 240 people and two Raceview Bars, a Raceview Diner serving the best in bar food, a ground floor snack bar & amusement area, plus a trackside licensed bar so you can be sure to enjoy the racing while relaxing in a great atmosphere. 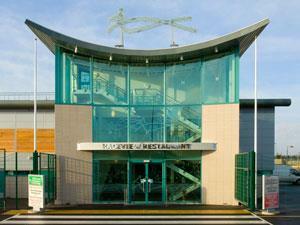 The glass fronted upstairs bars overlook the racetrack giving you a clear view of the racing action. Races are regularly televised and there is ample free parking during greyhound racing. Smoking is permitted outside only. Corporate entertainment suites are available, please telephone for more details on 01493 720343. When it comes to sport which is fast & furious, Yarmouth Stadium in Great Yarmouth is the place to be. Sited at Caister-on-Sea, Great Yarmouth, Norfolk, the stadium has developed over the years into a major venue. Even if you have never been greyhound racing before, you'll soon get the hang of it and with a bit of luck, you could end the evening a winner! Monday & Thursday first race 6.30pm (doors open at 6pm), Saturday first race 7.30pm (doors open at 6.30pm). Closed Good Friday and Christmas Day. Please refer directly to Yarmouth Stadium for prices. 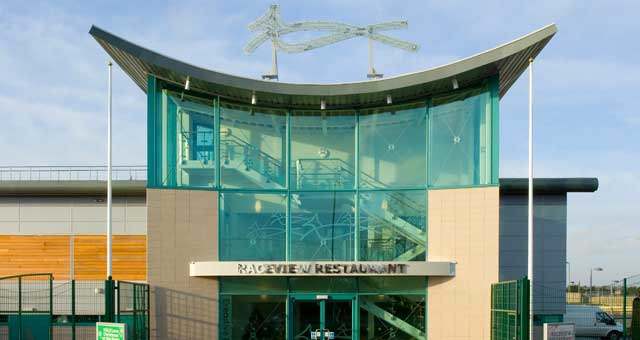 Or book into the Raceview Restaurant and enjoy a meal and spend the evening in the raceview area or upgrade to an excutive lounge, great for parties from 20 people or more.